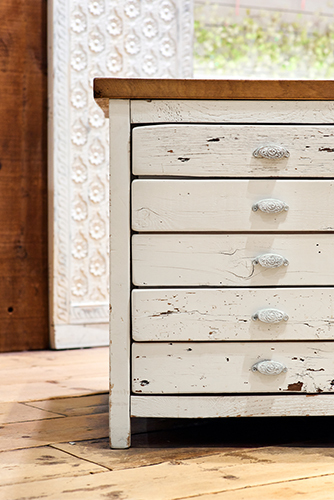 The Mall of America (MOA) in Bloomington, Minnesota, covers 4.2 million sf and even has its own ZIP code. 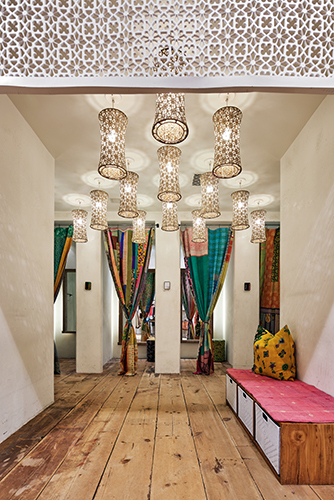 Among MOA’s most prestigious retailers, Free People presents a “Bohemian bungalow” design concept that reflects the brand’s handcrafted, authentic, and unique shopping experience. 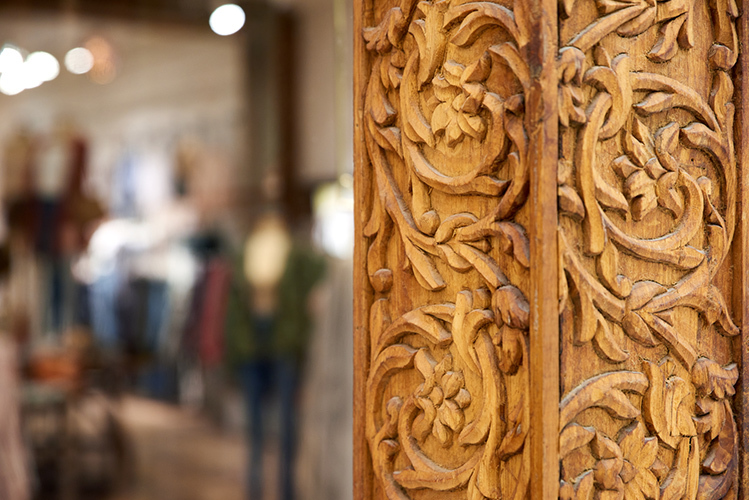 Its hand-carved teak and custom steel storefront distinguishes the space along the shopping corridor. 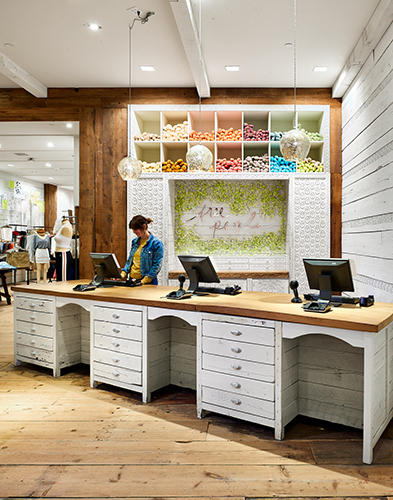 Like other Free People boutiques, the MOA store’s interior features brightly colored furniture, beautiful mirrors and dressing areas, and handmade fixtures, such as built-in cabinets and carved teak at the cashwrap area. 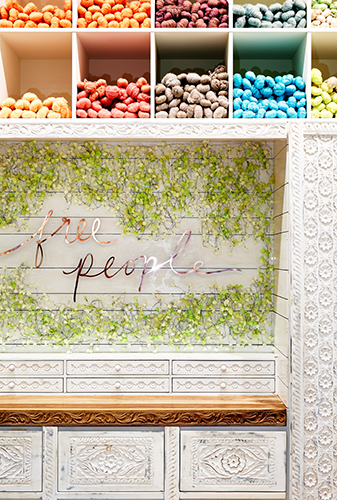 The MOA Free People store emphasizes the brand’s creative, confident, and personal aesthetic—even in the MOA’s mega-sized shopping environment.